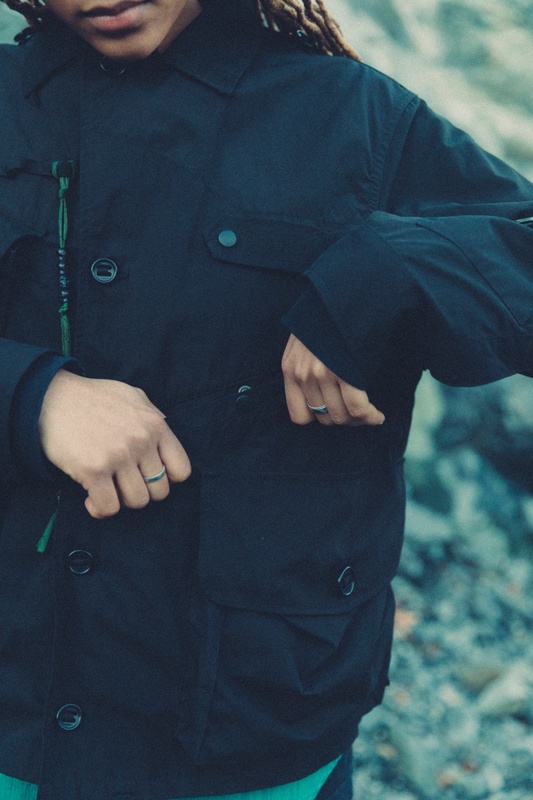 Cold weather gear that actually keeps you warm, and looks great too. Our "Move With Purpose" fashion editorial dropped yesterday, showcasing the best in functional outerwear for the adventure-seeking. 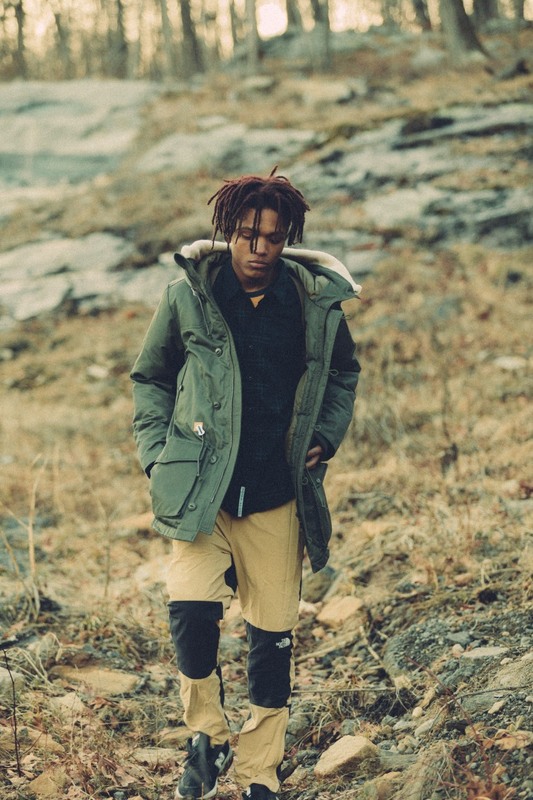 Below, we've broken down a few of the brands featured, like Kapital and Snow Peak, and shared the best ways to incorporate some of their signature pieces into your own winter-to-spring looks. 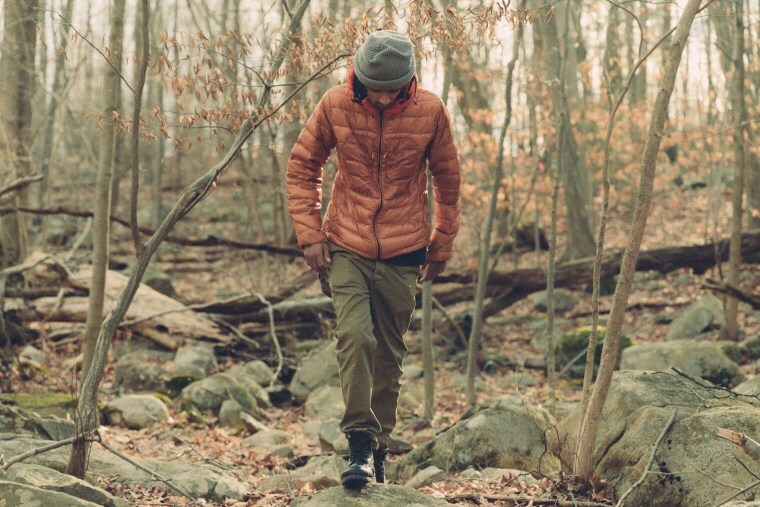 Now you can head out on your own outdoor explorations, and look good doing it. The functionality of a jacket boils down to one thing: pockets. There's something satisfying about a coat with well-placed, thought-out pockets that allow you to carry whatever you want without looking bulky, and yet many jacket designs fall short of it. The Tenkara Shirt from Japan's SOUTH2 WEST8, which specializes in functional outerwear, passes this test with flying colors — it's inspired by the traditional Tenkara style of fishing in Japan, and its wax coating will make itself useful near bodies of water as well as on a drizzly city day. Japanese brand Kapital is big in the business of reimagining silhouettes and textures, and their Denim Quilting × Nylon Quilting Swing Pants are the meeting point between the two. The standard winter trouser got reworked with lightweight, waffle quilting for a breathable pair of denim pants. The liminal weather days of winter and spring are the hardest to dress for because mentally, you're ready to eschew down coats for at least six months, but physically, you're still shivering. 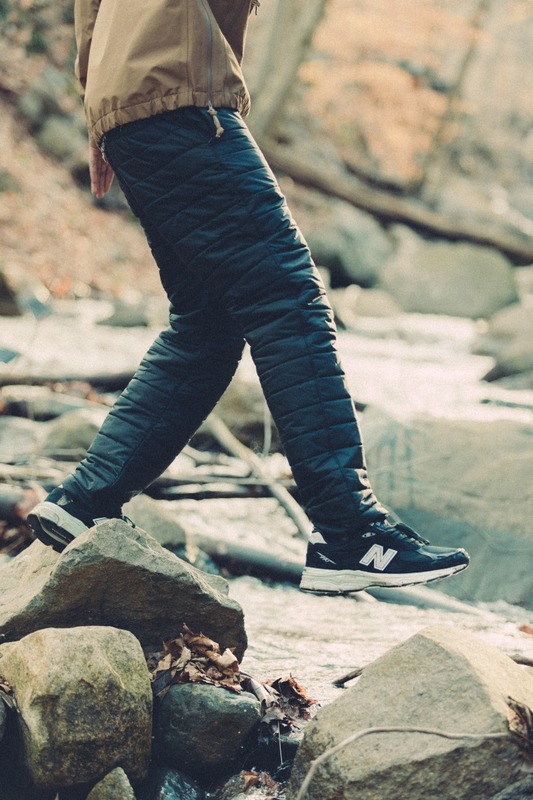 Nanga's Super Light Down Jacket is the Goldilocks of down outerwear in that it's just right. Like its name says, it's incredibly lightweight and designed to keep you the right amount of warm, backing up its philosophy of making down products of the highest quality. The gorgeous, burnt orange shade (pictured above) doesn't hurt either. Plaid is a safe print — you'll never look foolish in it, but it's not the most exciting. Nanamica, known for making classic cut pants and shirts with the most cutting edge tech fabrics, adds some flair to their plaids by, well, having less plaid overall. The chunks of plain, navy fabric pump up what would would otherwise be a typical shirt and makes it look like you put extra thought into your outfit without any additional work. 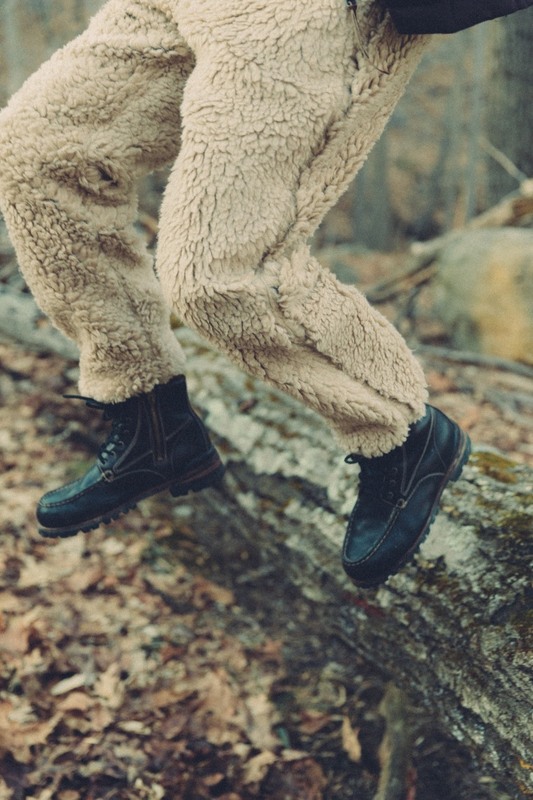 Believe it or not, hiking boots can look good. 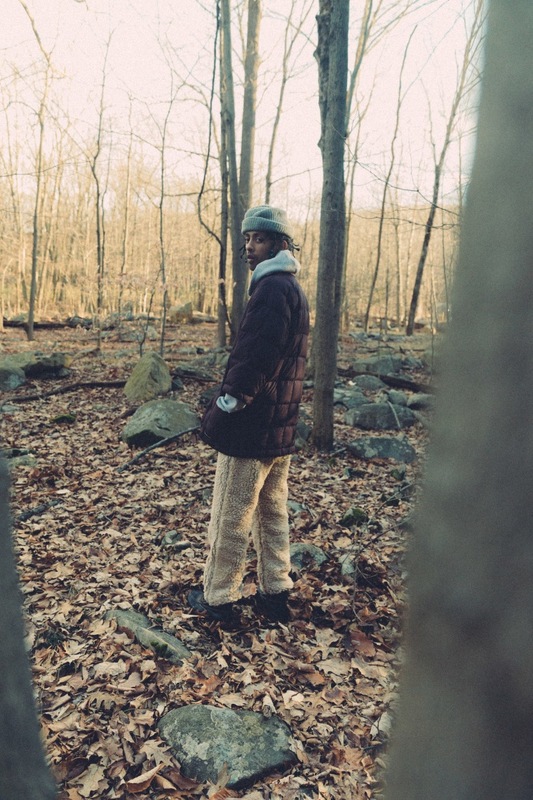 Japanese menswear brand Visvim has perfected most every basic outerwear item with their deep attention to quality and cut, and their practical hiking boot that you can also wear pretty much anywhere, is no exception. We love the mix of high-quality leather and fabric for a springtime upgrade to your heavier winter versions. 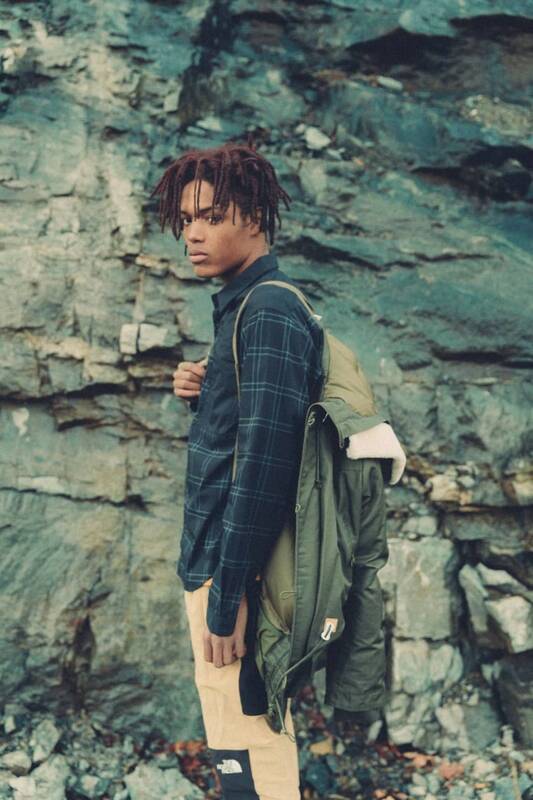 Snow Peak knows its way around technical outerwear, and have been creating durable, timeless designs since the Japanese brand incorporated clothing into its camping equipment-focused line in the 1980s. One of Snow Peak's coolest innovations includes parkas with built-in straps to turn your jacket into a makeshift-backpack for when you're feeling overheated. They've really thought of everything.